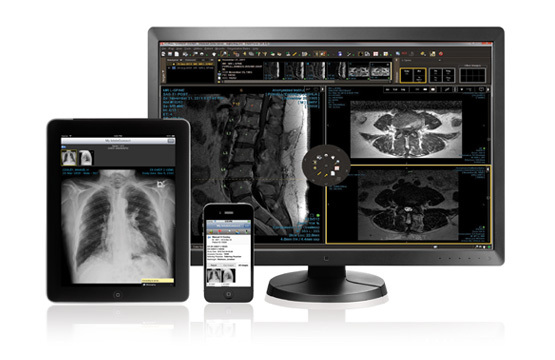 InteleViewer™ is an intuitive, feature-rich DICOM viewer renowned for its ease of use. Designed to provide an exceptional user experience, InteleViewer provides highly customizable toolsets and a flexible interface that allow radiologists (including subspecialists) to customize their reading and reporting workflow. • Flexible worklists to manage individual, sub-specialty and group case loads. • Maximum workflow efficiency and embedded critical results management. • Practice-wide peer and image review, embedded naturally within the reading workflow. • Enhanced service delivery to referring physicians with consistent and structured radiology reports and images, better collaboration and communication tools, and more time for consultations. To register for inteleViewer please apply for an inteleConnect account first using this link. Use your inteleConnect username and password to login to inteleViewer. 2.) Click on edit bookmarks on the left hand side. 3.) Click on the +Add button. 4.) Enter the following details in each box. Need some help downloading inteleViewer? Working for Rural Medical Imaging offers a unique lifestyle living in Far North Queensland, renowned nationally and internationally as a premier tourism destination. 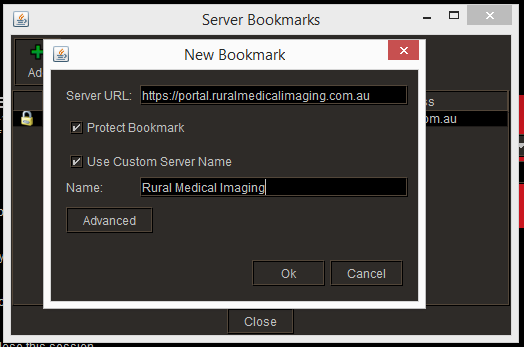 Rural Medical Imaging is committed to excellence and aims to identify service improvements, increase customer satisfaction and strengthen customer relationships.